All things Tony Awards—Before the main event, there's the pre-show. Tony red carpet coverage will begin at 5:30pm. Special correspondents will also be on hand throughout the night to bring you behind-the-scenes coverage. You can watch both on TonyAwards.com. Visit Playbill for details. Once the broadcast starts, you can expect to see a starry roster of presenters. Some newly announced presenters include Jake Gyllenhaal, Angela Lansbury, Uzo Aduba, Aaron Tveit, Common, Chita Rivera, and Josh Groban, who'll make his Broadway debut this fall. Playbill and Broadway.com have the full list of presenters. And you can also expect to see many performances, ten to be exact. All of the musicals nominated for Best Musical and Best Musical revival will be represented. In addition, there will be a performance by Gloria Estefan and the cast of On Your Feet, which (rightly) received a nomination for Best Choreography. Broadway.com has details. And in case you need a reminder, take a look at my Tony Nominees post from last month. In other award season news, Drama Desk Award winners were announced an celebrated over the weekend. 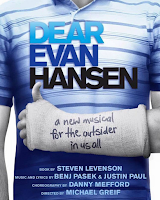 Some of the winners include: The Humans, Outstanding Play; Shuffle Along..., Outstanding Musical; Saycon Sengbloh, Outstanding Featured Actress in a Play, Eclipsed; and Benj Pasek and Justin Paul, Outstanding Lyrics, Dear Evan Hansen. 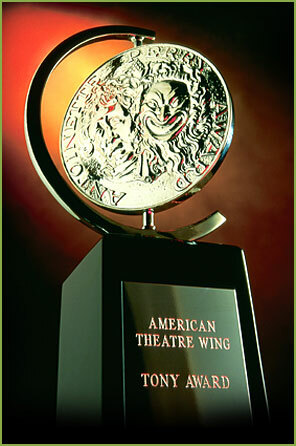 Visit the Drama Desk website to see the full list of winners. Dear Evan Hansen has a home, (some) dates, and a cast! The deeply affecting original musical will take up residency at the Belasco Theatre. Though an exact date for first preview is still TBD, opening night is set for December 4. Most of the Second Stage cast will be making the transfer, including Ben Platt and Rachel Bay Jones. Joining the Broadway company is Michael Park, who, though not in the Second Stage production, was part of the company during its DC run. Dear Evan Hansen features a book by Steven Levenson and a score by Benj Pasek and Justin Paul, and is directed by Michael Greif. Tickets go on sale Sunday, June 19. Visit Playbill for more. It's confirmed. There's yet another revival of Tennessee Williams's The Glass Menagerie coming to Broadway. As speculated, this one will star Sally Field and Joe Mantello (The Normal Heart) as Amanda and Tom, respectively. Finn Witrock (Death of a Salesman) as Jim, the gentleman caller, and Madison Ferris, making her Broadway debut as Laura, complete the cast. Previews begin February 14, 2017, and opening night is scheduled for March 23. This revival (the last was in 2013) will be directed by Tony winner Sam Gold (Fun Home, John) and play the Golden Theatre. Playbill has details. Don't miss this: the Manhattan Theatre Club will mount a revival of Lillian Hellman's The Little Foxes in spring 2017, with Laura Linney (Time Stands Still) and Cynthia Nixon (Wit, The Real Thing) alternating the roles of Regina and Birdie (Linney as Regina and Nixon as Birdie one night, then Linney as Birdie and Nixon as Regina the next). Previews will begin March 29, 2017, with opening night set for April 19. A schedule (letting you know who will be playing whom at each performance) will be released in the spring. Broadway.com has more. Tony nominee Megan Hilty (Noises Off) will star in a TV remake of the movie The First Wives Club. She'll appear opposite TV favorite, Alyson Hannigan (How I Met Your Mother). Broadwayworld.com has more. The December 7 NBC live telecast of Hairspray (the musical) has found its leading lady. Maddie Baillio will portray Tracy Turnblad. 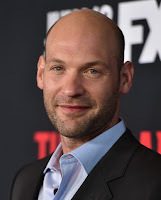 Baillio was found through an open call. Theater Mania has more. Full casting has been announced for the Shakespeare in the Park production of Troilus and Cressida, which begins performances July 19. 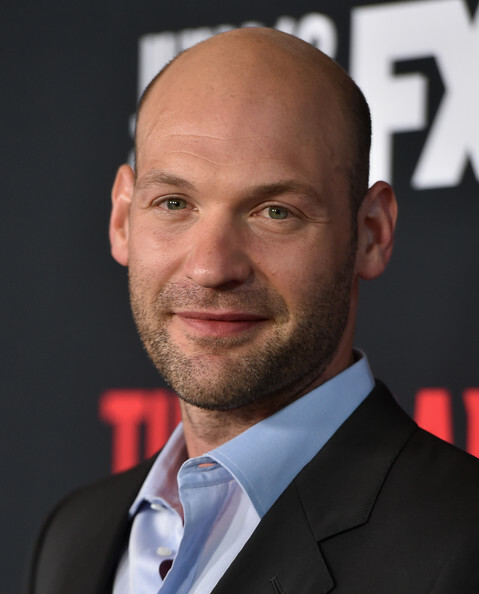 The cast includes Corey Stoll (House of Cards), David Harbour (Glengarry Glen Ross, The Newsroom), Sanjit De Silva (Dry Powder), Bill Heck (Cabaret), and Ismenia Mendes (Grand Concourse). Playbill has the full cast list. Lea Michele (Spring Awakening, Glee) will star in the upcoming Hulu sci-fi series, Dimension 404. She'll be joined by Robert Buckley and Ryan Lee. Variety has details. 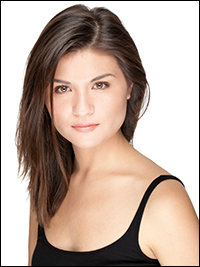 Tony nominee Phillipa Soo will appear in Moana, the new Disney film that features songs by her Hamilton co-star, Lin-Manuel Miranda. Playbill has more. Amy Schumer will star in Who Invited Her, a comedy being produced by Reese Witherspoon's banner, Pacific Standard. Schumer will play the titular "her," a woman who insists on attending her best male friend's bachelor party. Variety has more. Additional casting has been announced for the starry revival of The Front Page, which will play the Broadhurst. 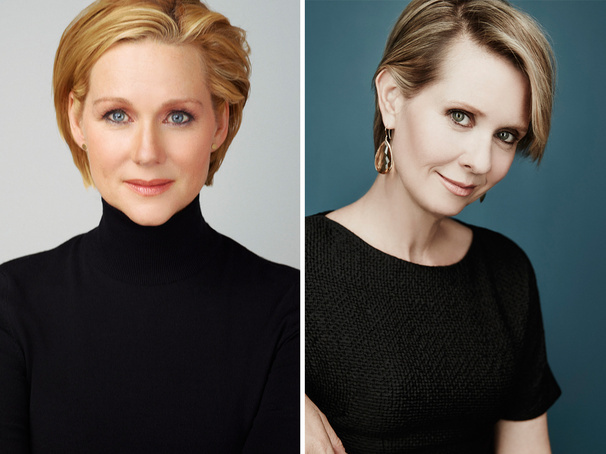 Stage and screen vets Holland Taylor (Ann), Halley Feiffer (I'm Gonna Pray for You So Hard, The Substance of Fire), and Dylan Baker (The Good Wife) are among those joining the previously announced Nathan Lane, Sherie Rene Scott, John Goodman, John Slattery, and Jefferson Mays. Previews of the Ben Hecht-Charles MacArthur play begin September 20. Opening night is set for October 20. 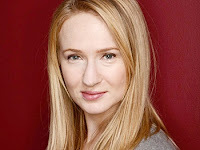 Broadwayworld.com has the full cast list. 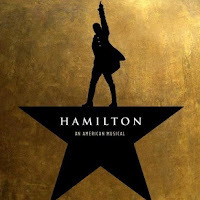 A new block of Hamilton tickets will go on sale to the general public at 8pm on Sunday, June 12 (right when the Tony broadcast starts). Tickets will range from $179 to $199, and are for January-May 2017. Playbill has more. In addition, the West End debut of Hamilton is now confirmed. The American musical will play the Victoria Palace Theatre beginning in October 2017. Broadway.com has more. Stateside, you'll be able to catch the show in San Diego, CA, and Charlotte, NC. Stops in both cities have been added to the national tour itinerary. Playbill has more. 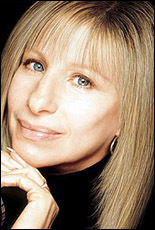 The track listing for Barbra Streisand's new album, Movie Partners Sing Broadway, has been revealed. Listeners will hear Babs sing: "Loving You," from Passion, with Patrick Wilson; "Anything You Can Do," from Annie Get Your Gun, with Melissa McCarthy; and "Pure Imagination," from Charlie and the Chocolate Factory (which has been adapted for the stage; it's coming to Broadway in March 2017), with Seth MacFarlane. The album is available for pre-order, and will be released August 26. USA Today has the full track list. Not diggable: The King and I will conclude its Broadway run on June 26. Theater Mania has more. A Capitol Fourth, the PBS special celebration the 4th of July, will feature performances from Sutton Foster, the cast of On Your Feet, Smokey Robinson, and others. Playbill has details.